" Pray to God and He Will Help You." "Prayer Makes You Humble. It Makes You Pure." "Every True Religion Includes Prayer. Never Think You Are Above This." "If Your Are Suffering, Pray To Your God and He Will Help You. In Suffering, Pray for Divine Intercession. This Is A Compassionate Universe. Grace Intercedes." "It Is Very Good To Pray For Others. This Is A Holy Act. Pray With Humility"
All Are Offered to God With Love." "Pray with humility. It is good to pray for Divine Intercession."
. Offer suffering to The Supreme, and be of assistance to others. Prayin love and humility." "Gather together, stick together in The Divine Connection and help one another. The phsyical body does not need to be there for the heart is more powerful." Pray the prayers of your faith. You may use prayer beads, songs. Surrender to Gods Love Omniscient." Type your name to the right of.. 'your name'. Type your email to the right of.. 'your email'. Type your request to the right of Request then Send. Your Prayer Will Immediately Be Forwarded to Our International Prayer Circle. "How to pray? Have a humble heart. A pure heart. Live by the Golden Rule. You may say The Lords Prayer, the prayers of your faith. The most important thing is to love God as a personal God, or else you are really not sure. Hand everything to his All- Pervading Omniscient Love, and do your part." What Does Robert Adams Original Pure Form Teaching Teach Regarding Prayer and How Does His Teaching Differ From Other Teachers? "I teach only my own experience. You have asked me to share my experience. Try it and see if it works for you." "I teach only my own experience. I do not teach only 'Advaita', but also the heart of devotion. It is only to the Ajnani that there is a difference between Jnana and devotion. To the illumined, there is no difference for all separation is dissolved. There is only the Self, omniscient omnipresent all pervading love.Therefore there is both the personal and the impersonal aspect of God. Both are true. It is up to you, your samskaras, your nature, which path you choose." "I am not a guru. I teach only my own experience. You have asked me to share my experience. Try it and see if it works for you." "To the devotee who worships Krishna, who worships Jesus, if their heart is pure, if they have surrendered everything, they will find illumination. Never think that you are above prayer. Worship. Worship makes you pure. Most people who attempt to follow these types of teachings become enmeshed in dry head knowledge.They memorize a lot of words, non dual terms, but they have a hard heart." "Pray to God and He will help you. Never believe that you are above this. To one who Knows, there is no difference, no attachment to an impersonal God. For God is without and within. The Self is boundless, eternal, all pervading. How can the Self be only one form?" "As you know, I began in mystical Christianity. Now this is a very beautiful path. For Jesus and Ramana said the same thing. Find the Self and you will find freedom from suffering. You may substitute the word "God" for the Self or for Consciousness. It is the same." "What does Robert Adams teach about prayer in his discourses? How does this differ from other teachers?" "I teach only my own experiece. You have asked me to share this with you. Try it and see if it works for you." "Pray to God and He Will Help You. ""Pray for Divine Intercession. This is a Compassionate Universe." 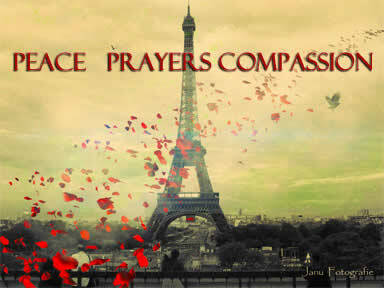 In Peace For The Alleviation of Suffering of All In Compassionate Brotherhood. So much gratitude. In Grace. Hello. I have been doing the Lords Prayer as Robert Adams said in discourse and it has come alive for me. I wonder if anyone finds this worthy in their sadhana to join with me for strength each morning before work I would appreciate it. Love to you.. Sunny Rhodes N.M.
Goodness such light here! I just want to hold all my online lesson students group up in Robert Adams light...i am so thankful to meet you all. It has been a deep journey. I study them nightly. I remember visiting in 94 and his careful tending to each word. I thank his family for their sharing their owns light to all. If it be his will. Surrender surrender to a regular sadhana. Thanks. P.L. With deep gratitude, thank you for helping my daughter, Elise, in all ways and to control her anger. Thank you for helping me to be a great parent, loving, firm and wise. Thank you for helping me to be a great student and to do my meditation and practices daily. Thank you for helping our family to live harmoniously, to be healthy, to be of service to others and to adhere to the yamas and niyamas. I am writing this email for my prayer request to be placed in Sri Robert's Altar for his blessings and guidance in my spiritual practice progress and in good health and peace for parents, wife and children. "Pray to God and He will help you." "That I will be enlightened before my body passes from pancreatic CA" Our prayers are with her. Update for our dear friend below; WONDERFUL smooth surgery and currently in recovery. Peace.Peace. Amen. ...for kidney surgery tonight. Light a candle and manifest peace for our dear devotee who will be entering surgery in a few hours. A long time Infinity Institute family member, may her healing be swift and her surgery guided peacefully in His Presence. URGENT parents have a legacy for. May this gift become a vehicle for service to humanity in a humble way. you are truly rare virtuous friends. may all be well. "Thank you for your bessings on our horses injury He recovered quickly and is back to joyous company." Ben H.
" I ask your loving joining me in prayer to "Be a better person and leave this world better for being here." as the sage teachers, particularly "spreading sunshine to all you meet" as I am still subject to indulging in the moods of the little self rather than the true SELF. My love to you all." I loved the three virtues class and note that I may be one of those who do indeed quote the appealing words of spiritual terms but do gossip and yell at people in traffic, hence the virutes are not abided by. I know that this aspect of the virtues is imperative. I am grateful for the fulfillment of your powerful prayers in the masters room and the phone counsel,,i am deeply moved. "When we talk of non reaction, always remember that this is not ignoring someone or something, it is an interior realization of great pece, indescribable love. Then, you are guided by The Power That Knows the Way to Right Action in response to every situation." "Thank you dear friends for praying for peace and calm in a private life upheaval. As I chant inwardly, this occurs." prayer request with all my heart I would love to awaken to my true nature. your prayer request Inner freedom with ease and grace. Financial freedom moment. Raymond Stanley: I want to bless and pray hold up in truth all of you and all you do. We love you. Ray. Julia Hixly: Forgiving those who were unfair to me. Yet standing strong in their wrongdoing and unfairness. comment=For me to find the peace that remains inside myself and to feel complete even if I have to be alone. Thank you, thank you, thank you, after my last request within fifteen minutes the doctor called with the results: no problem! All clear. This was considered highly unlikely. Plus, after two hours of the sage meditation, I received another call that the house I was selling had sold. I ask only for thankfulness and grace, to take nothing for granted in my 'brief time here on this earth to rise." Appreciate any realization of the One through the saints to be guided to service organizations to serve in when my child leaves for college. Wish to put this time to good use as I adjust. Shanti. Please pray for my dog, a happy soul who has stuck by me and brought huge joy. That his life on earth is extended, thank you God, Robert Adams for your love. Please if you can pray for me Kuhan as i will be facing a very critical month in March this year and probably the balance of the year. i hope to be able to do all i can at the finest level. i hope the Divine energies bless me with my hopes. however if things don't go the way i hope i hope i will be channeled with Divine strength to face the times to come. "Never think you are nothing. Never think you are non-existent. You, the real You, are all pervading, omniscient love, eternal, pure compassion. When I say no-thing, of course I am referring to all that is temporary. You are eternal. Please pray for Anne and her health situation. Please pray for: Charlene and Andy for Gods Blessing upon them for their highest and best good. I am going through a yet again a job loss situation. We had exchanged communication a year back. Please pray with us for Donna and her family. Please pray for this beautiful family's request below. For Kathy, Louise, Steven, Jonathan, Evan and myself. and He Will Help You." URGENT: Surgery Monday morning. Please pray for aunt. I am a Lesson Student, love you all. May I release self ends in selfishness and learn selflessness. My own induglence in fear. Thanks so very much, my finances have suddenly improved I thank the power that knows the way after listing, I pray for wisdom to discern the complexity of all my actions. Please pray for Kelly that her perception of truth leads to her complete realization of Self as Robert Adams teaches. Please pray for Siddhartha Bordoloi and his quick recovery from pain and physical discomfort. Thank you. This is a request for healing for my wife Nikki. She has a variety of illnesses which include Fibromyalgia and digestion issues. She currently is suffering with her thumb which has discolated itself - something which happens to other parts of her body. It pains me to see my angel suffer so, and I would truly appreciate it if you could pray for Nikki. "no Lack" Increase in conscious awareness and physical abundance. Please pray for Katherine and her deepest awareness of her True Self. The Love, Compassion and Humility that emerges strongly and clearly as her true reality, right and heritage. "I am thankful for all students united prayers in the infinite for my deeper absorption of our meditations." "Hi. Sending you blessings for taking the time to point out teaching on the animals... prayers for them." "Thank you for teaching/sharing Robert Adams vision on world peace in Circle. Wow. The current uprising of callousness calls for pondering on his words of peaceful protest I believe. Please meditate with me on an uplift in consciousness for this. My peaceful protests are not hnored in my career workplace..."
"My regular checkup to go well." "Hi there. Once again, i ask my spiritual circle for prayers with me to provide a happy holiday as a single mother this year. As our teacher says, spread sunshine and happiness to others whenever you can...trying...Blessings." "I am devoted follower requesting financial help blessings in my schooling. We send love kindness to you for your work from India.."
"My dogs situation could use some celestial help from you good people. Much gratitutde." Paul L.A. I humbly, sincerely pray to alleviate, eliminate my suffering from the deep root causes. Pray for the strength,courage , a more relaxed, at ease, open mind and open hearted journey home. "Praying humbly to absorb the lessons in digestion as deeply as possible with the sages blessings." "For clear discernment in love." Dear church family, if anyone here is in the candlelight group Tom has a sister with autism and is facing hard choices. I know we can flood him with wisdom and guidance. please join me. Peace. Peace. Keishas heart is broken, bring peace identification and mercy upon her. Sandra Wainwright: Please join in the truth of unity so this world is washed free of the maya of copetition, division, war, aggression. As he says, "Its all up to you." Thank you dear ones. Please help Elise to overcome her anxiety and fears. Thank you for blessing her to find a true spiritual path. Thank you for always protecting her from any negative influences. Thank you for helping her to have friends who are a positive influence. Please pray for understanding for those beginners on the spiritual path misunderstanding authentic Spirituality and the laws of right behavior. In the theft of sweet Robert Adams works in attempts to gain social attention that he himself copyrighted left to his heirs. May their hearts open to the truth of pure actions laws of Karma and surrender to the heart of God. Santa Fe Lesson students group. Please pray with us for Maureen A. that she may experience the truth of her true natur..
"My spiritual integration of the key aspects with my job and family. I mean to actually make changes and growth while in the same environment, blessing everyone." "My mothers ulcers. She raised us alone and is a good woman." "Please pray for me. Please offer up my son and myself in how God would have us. Your website brings us such joy. We became vegetarians after reading Robert Adams words." " My recurring leg pains. No one can find the cause, buy my morning sadhana yoga and your meditations are helping. Pulls my mind there." "Dear friends of so many years, all of my love to you, Mrs. Adams and Dr Warner, I miss our early talks. 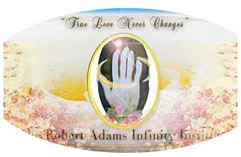 Ifi t is not a burden, your kind prayers to Robert Adams always near and the saints and sages he talks about to be worthy and humble of this path. To renounce the feeling of pronouncing my little awakenings I am really working on humility. Hugs, love, sunshine and bliss!" "Thanks all. For old mental patterns identification with depression.Remembering my choice...aunts illness as well." "My animal kids their love sustains me and brings me closer to the divine I am having trouble with food bills and their vet bills. Om Amen." "I have lost my job and have four teenagers depending on me as panic appears and dissolves....my church is coming over with meals for us....I found strength in the happiness book and now ask for estra strength and a dash of funny!" "...I am facing two corporate lawsuits and simply hand it to God in full surrender ten to twenty times a day. Your prayers are appreciated and I humbly thank u." "Please pray with me for my disabled son and his wife." "Blessings friends, I would always be appreciative of your prayers for my moving cross country Tues.I AM grateful. Amen God Christ." Maya De Angelo L.A. Ca. May Gabriele find ever increasing harmony in all her life affiars, family and with God. May mom and dad be happy. Dr. John Hall: my family and the reunification and reconciliation of all our kids. Alicia Stone: My intestinal surgery, all fear dissolved. Dan Ryke: A happy active life and learning a sense of responsibility for our new estate. Wisdom to guide. M.Lori: Since I started waking up to the tapes, matha tea. and chanting my entire life has been transformed. I can use the collective strength to increase these regularities please. I honor and adore your work and your counsel, have regained faith in others. May you be blessed for you silent altruism. Love you! So blessed to enjoy the vid at SF class you shared with this great and rare teacher at the Chopin concert with wife at Hollywood Bowl! I got to enjoy those too, and I ask for prayer for my daughters piano dreams as a life path she has just released her first recording for healing...just to make a living as pianist long after I am gone. I Am That! "I pray for equanimity. For the end of my reactions to the world, to my thoughts, to everything. I let go and let God." I spreak joy in small ways to others each day. Sometimes this fades in comparison to larger actions, yet I feel God in these moments. I also notice that self concentration on aches 'subside'. Please joing my nightly practice prayers for strength, consistency and not to be disherated by 'mean people' as Robert Adams says and to keep loving." "My twenty year old son has begun meditating and praying. May his experience richly expand. To follow truth always through life. " "Bless you all for all that you have done for me for the last fourteen years. I particularly appreciate the evening chants and I ask you to join me in the healing of past relationships to alleviate the karma I have created when I was not acting in wisdom. Thanks." "There are times when it is appropriate to pray for intercession, say the relief of suffering to yourself or loved ones. Do this simply with a pure heart. You were not born to suffer. Yet you can find peace in such situations. One of the best ways to do this is to reconcile yourself with others, forgive others, serve others. Reconcile yourself in action, word and deed and thus you will find your burdens lifted. Things will change for the better." Thank you for helping me to do the practices of self inquiry, prayer and pondering to become an embodiment of the love, compassion and teachings of Robert Adams. "Every True Religions Includes Prayer. Never Think You Are Above This." Please pray for Janarthana - for easy quick and intuitive wisdom to pass her exam. "Pass my final FRCA exam which I am struggling for long." "Please hold in your heart Robin, now in her third surgery. She is a beautiful soul and devotee. I love you all so very much. Amen." "How may I be of humble service in Goodness in this world? Now have the time and feeling to do so..."
"Blessings. So grateful for your platform, sincerity and Truth. I have lost much and want to remain real and forthcoming yet the alternating shock and sadness arises. I simply ask for a circle of light and godliness of 'sincere aspirants' as dear Robert Adams says, to encircle me. In strength, an eternal gaze..."
Mary C. Los Angeles Ca. 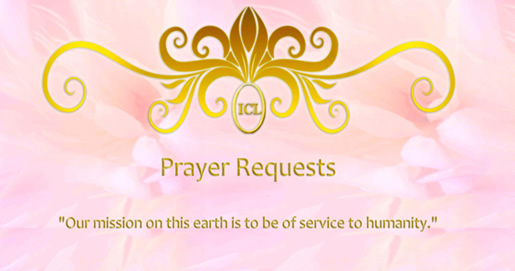 You are invited to join in every evening with a candlelight prayer service for all requests posted with the Robert Adams prayer circles globally.. I'd be very grateful if you could include my name as I wish to seek help and guidance. your prayer request: That I may a find a Robert Adams group near me. I live near Philadelphia PA.
Robert Adams please in a short time give me the ability of worshipping god perfectly in my daily life so I could see the true nature of the Self by a true devotion. And please show me if you were this old man that I saw in a etheric vision sitting near me many years ago. Dear God. I pray to have an enjoyable, interesting and easy studying process at the university where I am studying towards my degree. I wish to study the whole course easily and effortlessly and to pass all my exams and test with high distinction. Thank you, God. Pray for my career and my future as a working mom.. Everyone has this story it seems but I rely on God to help give me the inside track, my dharma of work is my life service to others. Please help. Kathryn J: Orlando: Please join together in the miracle of life to steer myself and my family towards only good, just and honorable people, regardless of spiritual appearances. Was involved with imitation copies and now cement firm resolve to my lessons and pure Teaching of Robert Adams. The heart meditations....regularlity. Sinny Fleur: Oh my, your love is boundless yes, I do appreciate your time spent on helping me. I feel Robert Adams so strongly in your love I know he is here no difference as he says, i am going nowhere. I expand your love and inspiring light heartedness and pray for the same within me rather than taking myself so very seriously. Well, gratittude. "My dharma is to teach English to people from other countries which fills me with joy as I see God in new friends. The illness appearing in my body is preventing this. For me to return to this wonderful service and honor." Stella Gardonio has requested prayers for her friend to love and forgive himself. For the alleviation of suffering for the earthquake victims now. My girlfriend is confused about us.. I believe in the power of prayer in everything I do and she is really special to me. Shes the one, she just doesn't know the value of..
Greetings to you beloveds too! Just a confirmation that it was divine will that I got the part in the audition after you all held me in prayer and the supremacy of good! Although even minded on getting or not, it is my dharma and I am in joy relaying positive themes in acting! Your site and message is pure light, I thank you for all you do for people and the animals. om shanti peace. "For determination to 'rise' inwardly. In love, compassion and humility. Thank you." " I would like to invite all lesson students to join me in the prayers that Robert Adams presented with your loving guidance, my prayer group is now practicing the Lords Prayer as he suggested and it is quite new to me. Your love on Thursday nights with lesson family. "I am having major surgery Friday. Any help is appreciated. Thanks." "Sat Nam Ji, thank you so much for the extensive help and counseling, our family will remain indebted. Father goes into operation in three weeks. May all go well." "Have seven dogs, discernment on medical procedures. Love them." John Scott Los Angeles Ca. prayer request. I sincerely pray for my friend Kapali S. who has been trying to get married for a long time to get married soon . Thank you God. Thank you Robert Adams. Peace. To all my brothers and sisters I am thankful for you to do the favor of prayer in supplication for best friend, who falls and rises and falls again, in old habits. He is good man and has much love for God. Thank you God bless you. I am thankful for your books much.